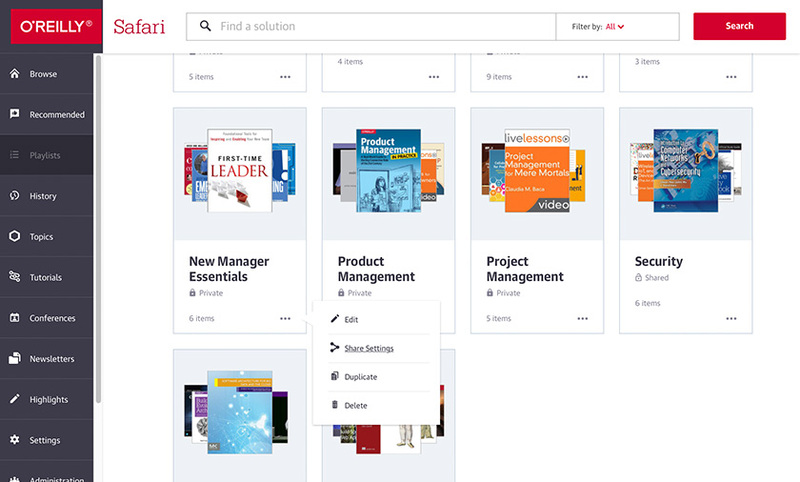 Take a look at the latest improvements and additions to your O’Reilly learning experience. While you try them out, we’ll be hard at work on the next feature rollout. Enjoy! Go straight to what you want to learn or browse—to discover new content. It’s easier than ever to search and navigate with the new homepage. Plus, Popular Videos are back. Quickly access the most watched videos to keep up with top learning content. 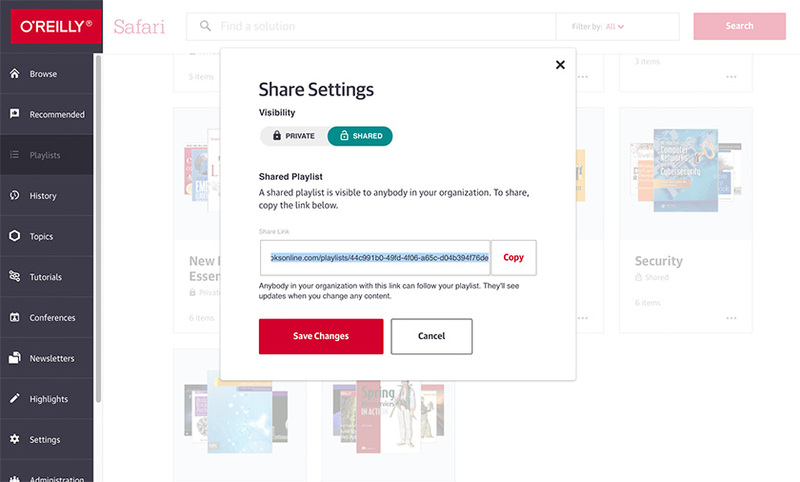 Our Playlists feature helps you gather and organize just the content you want, then share that information with anyone in your organization—so everyone gets the knowledge they need. You can choose information from books, videos, and other sources and return to that content anytime you’d like. Whether you’re a student or educator, you can now share playlists of your favorite content whenever you choose. 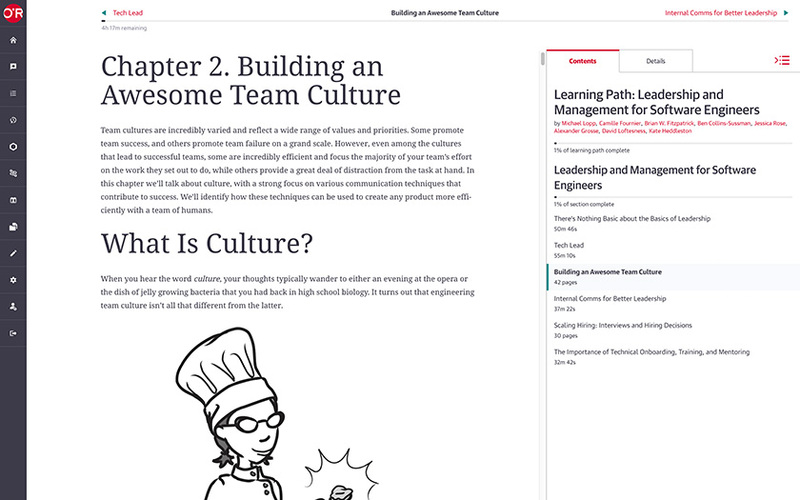 Select content from books, videos, and other sources and share it with entire classes, teams, or individuals—it’s a great way to supplement a curriculum and empower deeper learning. Take the new video player for a spin and experience its responsive, user-friendly, and intuitive interface. The improved table of contents brings you descriptions of the video and sections, as well as a transcription of the voiceover. These make it easy for you to zero in on the information you want and continue your learning experience. 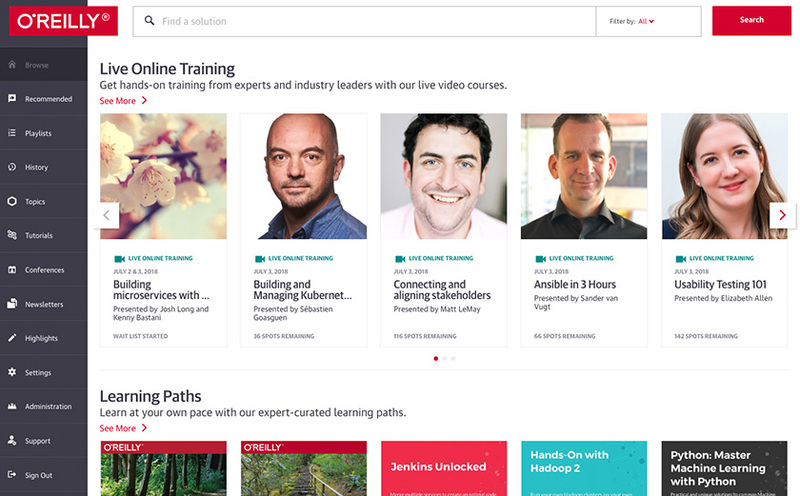 Build proficiency faster than ever with the latest updates to our popular learning paths. Each one structures your learning journey so you never need to wonder what to learn next. The latest paths include both text and video to deliver content in the format that best suits your needs, enhancing the opportunity to learn and retain information. What’s better than a great mobile app? It’s a mobile app with sharing. 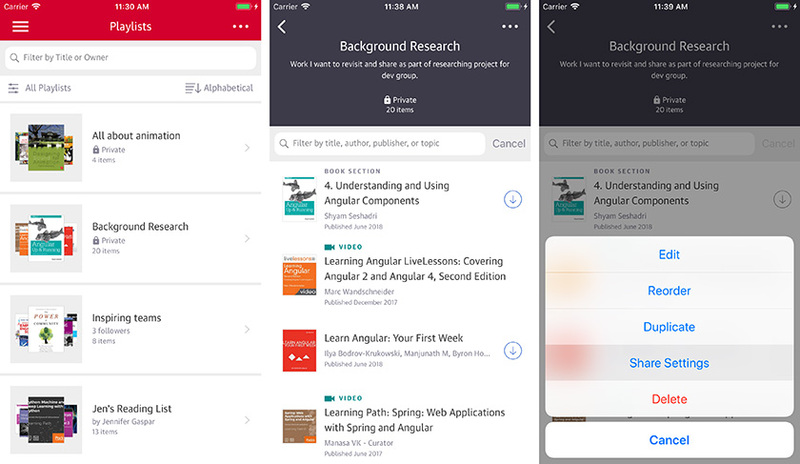 Check out playlists sharing on O’Reilly Queue mobile app for iOS and Android. You can select and organize content in playlists, then share your playlists with your team or specific individuals within your organization. Learn together while on the go. Use the new playlists—filter function to pinpoint or abbreviate a lengthy list of content. With playlists—filter, you can search by topic, format, content type or publishers. 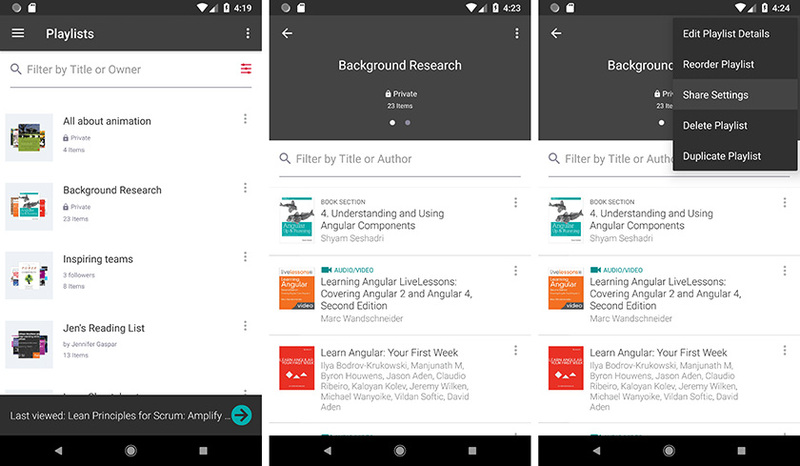 Android app users can now find terms, keywords, and phrases within a book and jump to each mention quickly to find just what you need. Implementing EZproxy is a secure and easy way to connect your existing library resources to O’Reilly’s online learning experience. And you don’t have to be a technical whiz to get started. The result is a streamlined setup for new users and a reduction in login steps for existing users. Get the quick admin access you’ve wanted directly from the main navigation menu. 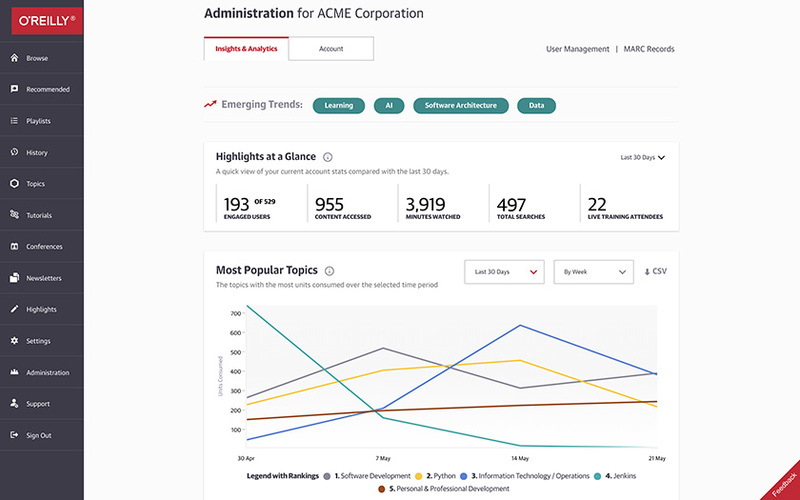 You’ll love the faster load times, easy-to-read charts, emerging trends, and the at-a-glance highlights bar.